That comment is usually spoken in a solemn, apologetic manner, like the speaker wanted to console me on the loss of something near and dear to my heart. Folks, why the long faces? 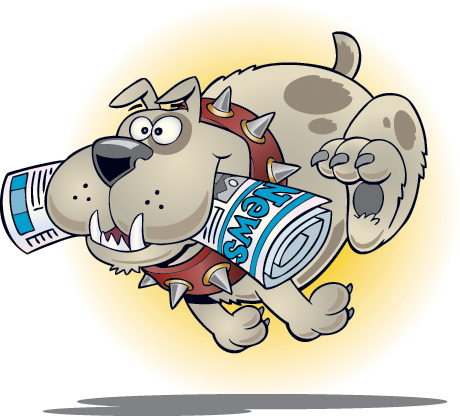 Granted, daily and regional papers are taking a hit, a point broadcast and digital media platforms love to opine about. However, community papers are still the growth in the industry. And, while it’s harder to make a buck at community papers, they still are making dollars; and the ones doing the best are the ones continuing to understand and deliver on their mission. What mission is that, you ask? Simply, to engage and inform. Aside from the selfish reasons, I give a hoot about community papers because I love community life and the sense of being a part of something bigger than myself. I find comfort in the fellowship stemming from common interests, attitudes and goals in the communities around here — communities I have lived, worked and played in almost my entire life. I reckon you can say I’m locally invested. 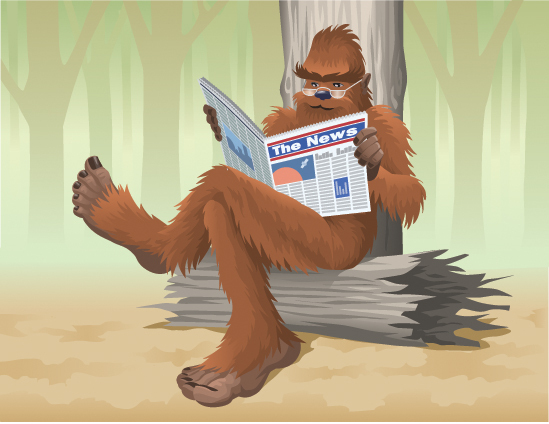 Even Bigfoot likes community news. The community paper business dovetails nicely into my own personal feelings. Community papers like ours, The Citizen, The Clarkston News, The Lake Orion Review and The Oxford Leader are invested in each of our individual communities. We’re brick and mortar businesses paying local school and property taxes. That said, it’s in our own best interest to pay attention to the actions of local officials and governmental boards. It’s our job to attend local school board or city or township meetings. It is our job to be our community’s watchdog. I know sometimes we want to be the “nice guy,” merely reporting on what happens at these meetings. However, all of the time we need to wear our big boy pants when reporting. For more engaging articles we need to also write on the tone of meetings — was it tense in there? Jovial? Or, were council members robotic in their manner? I love when our papers report on new businesses. I love it when we report on all the groovy things our kids are doing in the classrooms and out of the schools. While I hate having to report on a tragedy, my spirits are always lifted when I read the stories of our communities coming together to lift up the stricken or fallen. From womb to tomb, it’s our job to report on the life and times of those who reside here. From announcing new arrivals with birth notices, to running life stories in obituaries, and all the accomplishments in between, we publish the news of our community. And we do it better than any other media source. We cheer with the community at our successes, we mourn at loss and we also point out wrongs. We promote civic liberty and welfare; we shine light into dark and secret places; we filter out rumor and innuendo that is so common on social media these days. We present facts. I give a damn about community papers for those reasons and more. A community paper, if it is worth its salt, cares not only for the residents it represents, but also the commercial engines which drive our communities economically. Local brick and mortar businesses — like the local grocer, or retailer, or mechanic, are invested in our communities, too. 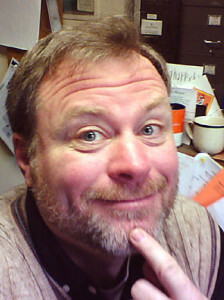 They are the ones who sponsor little league teams, and donate items for charitable endeavors. They take the risk of doing business locally. Without them, I shudder to think what would happen to our communities. Community papers connect local business to local residents better than any other medium. If you’re a local business person, how do you feel about locals buying goods and services online when you are invested locally? If you’re a local resident how much do you think Facebook, Amazon, Instagram and other online businesses give back to your community? I give a damn about my job, about being a part of a community paper because I give a damn about the people and businesses who make up this community. So I will endeavor to beat the drum of community papers; I will continue to engage and challenge readership. I will continue to be the cheerleader and the pain in the backside, just because I give a damn. It’s my job.